At Bradshaw Family Dental, we offer some cosmetic and restorative services to improve your smile and oral health. 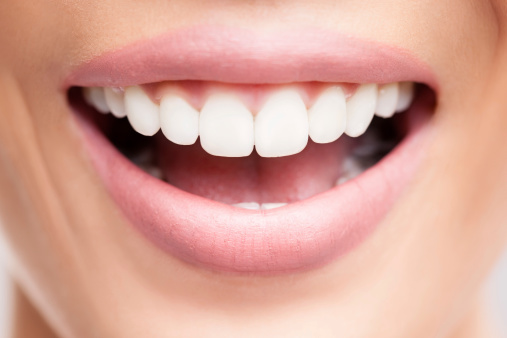 Smile esthetics can be affected by the size, shape, and color of your teeth. However, gum tissue also plays an important role in the beauty of a smile. If you have a large amount of gum tissue, your teeth may appear to be short. In reality, your teeth are the proper lengths but covered with too much tissue. This is known as a “gummy” smile. To correct this issue, we offer a procedure known as crown lengthening. Crown lengthening is a common surgical procedure that involves the removal of excess gum tissue, bone, or both. The removal of this tissue allows us to expose more of the tooth and improve your smile. While it is largely a cosmetic procedure, crown lengthening can also be used for restorative purposes. We may recommend crown lengthening when there is not enough tooth that sticks out above the gum to properly place a dental crown. This can happen if a tooth breaks off at the gum line, or a previous crown has decay underneath it. Before we can determine if crown lengthening is right for you, we will conduct a review of your medical and dental histories. You may also need a professional cleaning to remove any plaque and tartar build up. Once the proper preparation is complete, we can set a date for your procedure. Because crown lengthening is a minimally-invasive procedure, it usually only requires local anesthetic. Local anesthetic will numb the area and eliminate any pain or discomfort. We also offer several sedation options for patients with anxieties or fears surrounding oral surgery. Once the area is numb, we can begin the procedure. During the surgery, Dr. Andrew Zeiger will make small incisions and pull the gum tissues away from the teeth. This helps to expose the roots and surrounding bone. Sometimes, we only need to remove a small amount of gum tissue to successfully improve esthetics. In most restorative cases, we will also need to remove a small portion of bone to expose enough of the tooth. Even if only one tooth is involved, we typically need to reshape the surrounding area as well. This provides a more even and natural look. Once we have exposed enough of the tooth, we will sterilize the surgical area and suture the incisions. Immediately following your surgery, we will give you a set of post-operative instructions. We will ask you to use ice on your face to reduce swelling. You may also be given a prescription for an antibacterial mouth rinse and pain medication. You can brush your teeth near the incision, but please be sure to avoid the gums. We typically ask patients to schedule a follow-up appointment four to six weeks after surgery. The entire healing process takes about three months. During this time, we ask that you refrain from smoking and tobacco use, as it can seriously hinder your ability to heal. If you would like to learn more about the crown lengthening procedure call (928) 277-0076, and schedule your consultation appointment today.